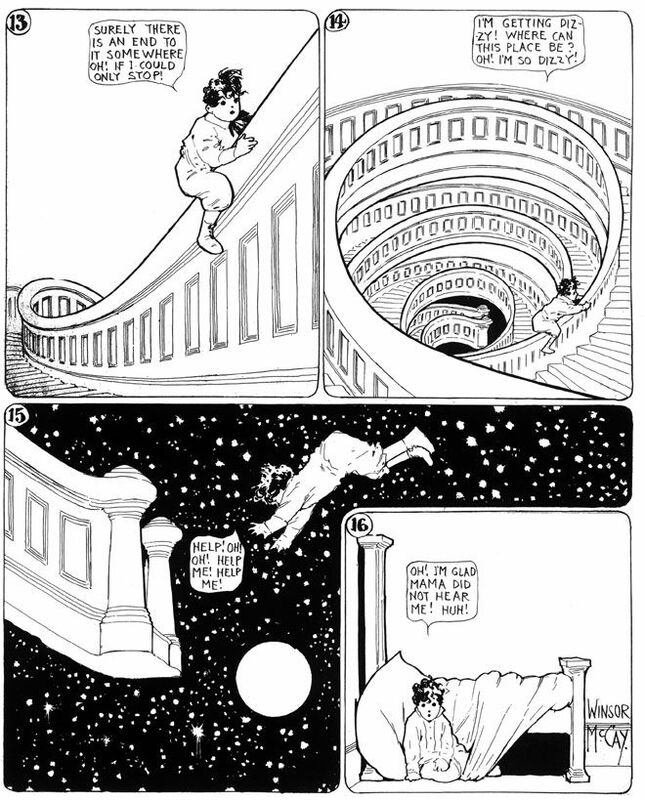 Winsor McCay's Little Nemo always found Slumberland even if it wasn't always an easy ride. I thought I had defeated my sleep problem but over the last few months it has crept back in like a pest you thought you had dealt with only discover it has broken into the pantry, chewed through every box and pooped everywhere. What a fool I was. I’m undeniably a night owl. My natural rhythm would be going to sleep at 2 AM and getting up after 8:30 AM with a midday nap happening sometime between dawn and dusk. Yet that isn’t how “society" works and it certainly doesn’t work that way if you want to remain employed. I’m struggling to get to work, then get through the day at work, then getting to bed early enough so I can be rested to get to work the next day. It all comes crashing down on the weekend which is something I would really like to be awake for. It’s like living in a state of near constant jet lag. The problem is partly mine and partly work’s. I work on what my company calls “distributed teams” where team members are based in many different geographic locales as opposed to "co-located teams” where the team members work in the same location. Which means the only time to talk to anyone in India is 7 or 8 AM which would be fine if I’d gone to bed by 11 PM rather than 1 AM. I take it back. 8 AM meetings are never fine. This schedule was supposedly temporary. 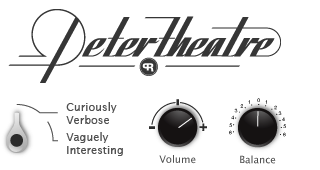 We had a project to be done for a certain trade show. Once that was done, we could go back to normal. Instead, it became normal. To complicate matters I was travelling more, getting regularly sick and getting regular medical treatments, which led to dropping the one thing that was keeping me alive: exercise. I never recovered. The old adage that it’s easier to stay fit than get fit has never felt truer. But the thing that really surprised me was I had essentially forgotten that I used to have trouble sleeping and didn’t even notice the role fitness and exercise played in my regaining a pretty normal sleep pattern. By “normal” I mean that thing where you go to bed and fall asleep until you wake up in the morning rather than the thing where you go to bed and lie awake only to fall asleep 30 minutes before you have to get up. In recent years, I’ve developed a really drawn out routine, or more properly, a ceremony before going to bed. Turning off phones, iPads, computers and tuning out televisions and radios, taking vitamins, asthma medication, rinse, floss, brush, planks, stretches, bed. Part of what made any of that useful was that I was actually tired at bedtime and I was tired because I had exercised a few hours before. Another change has been where I physically sit at work. Previously I sat next to a giant window and I think that exposure to daylight makes a big difference to your body’s internal clock. Now I sit in the interior of the office which is more like a 60s style university library and your internal clock is stuck at half-past-flourescent lighting. I never really accepted the point that exercise improves sleep but I guess that was because I had such terrible sleep habits to begin with. When I really started exercising regularly, of course I looked forward to that time between the sheets to rest, repair and reset. One thing I have done regularly are exercises to strengthen and support my back. It’s not the exercises themselves that helps sleep come but the fact that I carefully count how long to hold an exercise or I count breaths for a length of a stretch. The nice side effect of keeping track of a number, breaths or otherwise, is that it occupies just enough space in your head to turn off the running “To Do List” I’m constantly compiling in my brain. Having done that, sleep comes easier. Of course it’s hard to “fix” bad sleep habits because the city is against you, with its electricity and lights and sirens and blowhards and smells and toxins. Not just the city but interesting television shows are against you, curious e-mails and social media feeds are against you. The only thing your “social media” is feeding is your insomnia which is why I’ve had to re-train myself to turn off the screens and devices, to block out the lights and the noise and recede into the night like a sunset in tall grass. I used to swat at all of our modern distractions frustratingly hurrying to bed but now I dodge and avoid them until I’ve drifted beneath the sails of my bedsheets anchored in the safe shoal of sleep. I've also started exercising again, making me more tired when I should be for sleep to happen but still not early enough to make up for when the waking has to happen. This time of year, the darkness of winter also threatens the fragility of sleep. There’s only time for Nature’s soft nurse to visit my bedside and check my charts before moving on, when I really need a seven hour restitution. There’s so little space in the day to make space at night to find your way to sleep. What’s lost in the rush is the liminal space between dusk and the night, a space where the mind can be mindful and for me when creativity awakens and the space for the sleep that heals.